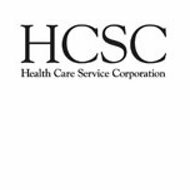 A review of HCSC Insurance Services Health Insurance Company finds Health Care Services Corporation, also known as HCSC. Health Care Services Corporation administers the Blue Cross and Blue Shield insurance plans in Texas, New Mexico, Illinois, and Oklahoma. It is the fourth largest health insurance provider in the U.S.
Find health insurance quotes for policies in your area by entering your zip code in the free box above now! HCSC is also the largest customer-owned health insurance company in the U.S., with more than 13 million members. The majority of its members have coverage through employer benefit plans, while 10% of its members have individual plans directly from HCSC. The company also employs more than 16,000 people. HCSC’s corporate office is located at the Chicago address. HCSC was founded in Chicago in 1936 and based on a hospital care prepayment plan created in 1927 by Baylor University School of Medicine Vice President Justin Ford Kimball. Chicago leaders and physicians were trying to find a way to address the problem of affordable health care, especially in the middle of the Great Depression. The group’s first name was the Chicago Plan for Hospital Care, and it became popular quickly. It incorporated under the name Hospital Service Corporation and signed up 36,000 members in its first six months. The Blue Cross symbol for hospital care was adopted in 1939 and the Blue Shield symbol for physician care was adopted in 1947. Both pieces of the business operated independently until 1975, when they joined as Health Care Services Corporation. All of the other Blue Cross plans in Illinois were merged with the HCSC plan by 1982. The company’s growth continued with the addition of other statewide Blue Cross and Blue Shield plan licensees. Texas joined in 1998, New Mexico joined in 2001, and Oklahoma joined in 2005. These health insurance plans were among the first in their respective states and HCSC is responsible for many of the coverages that have become standard today, including coverage for migrant workers, cancer care and heart transplants. It also started the country’s first mobile immunization clinic in Illinois and the first mobile health-screening unit in Oklahoma. As you can imagine, as one of the largest health insurance providers in the country, Health Care Services Corporation has many job opportunities. Their job postings include all open positions for all of their Blue Cross and Blue Shield plans, along with open positions at their subsidiaries. At the time this review was written, there were 84 employment opportunities listed on their website, searchable by location, position type, function, date posted, keyword, and job ID. Eighty-three positions were for full-time, and one was a part-time opening. Functions ranged from data warehousing and database management to process & change management and actuarial. If you’re interested in applying for any of the open positions at HCSC, you must first create a candidate profile on their website. You can then conduct job searches and save any positions that interest you into your personal cart. HCSC also offers a Total Rewards Bonus program, which is an incentive plan that offers additional money on top of an employee’s base salary. The Total Rewards Bonus program is paid annually, recognizing employees that achieve certain objectives for their division, department, and corporation, as well as individual objectives. Let us help find health insurance rates from providers in your area. Just type your zip code in the box below and we’ll do the rest!